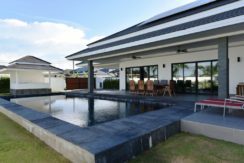 New luxury pool villa in Hua Hin o Cha-am just 15-minute drive from downtown with only 700 meters to Palm Hills Golf Course. This new luxury pool villa consists of spacious living/dining room, fully fitted European style kitchen and 3 bedrooms with ensuite bathrooms. 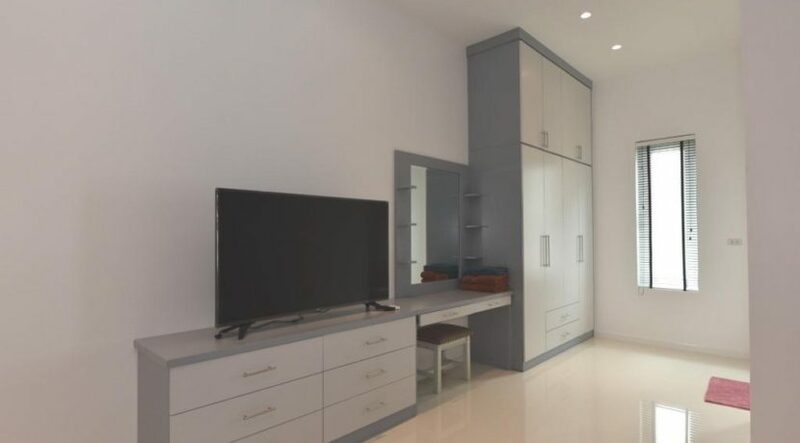 All rooms are very tastefully furnished. The covered carpark with space for 2 cars, features electric gate and utility rooms for storage and laundry. A solar system produces sufficient electric power for saving about 4,000 baht monthly, equivalent to an average household electricity expense. 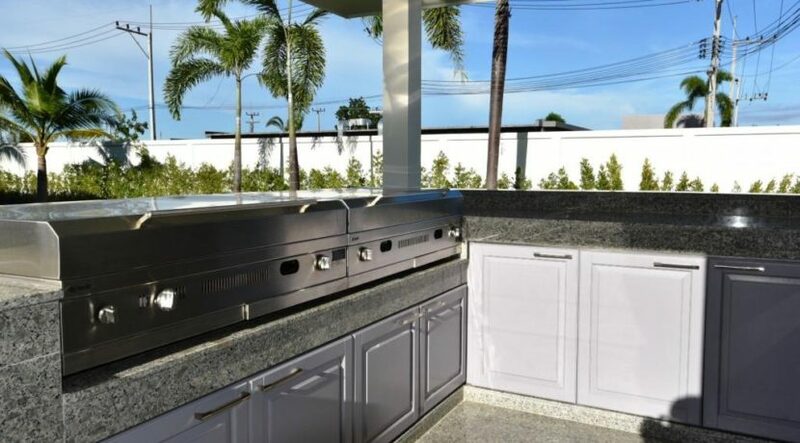 An external fully equipped BBQ kitchen serves as a perfect place for cooking and frying both western- and Thai style cuisine. The beautiful garden, the covered furnished patio and a 5×12 meter swimming pool provides a wonderful relaxation area. 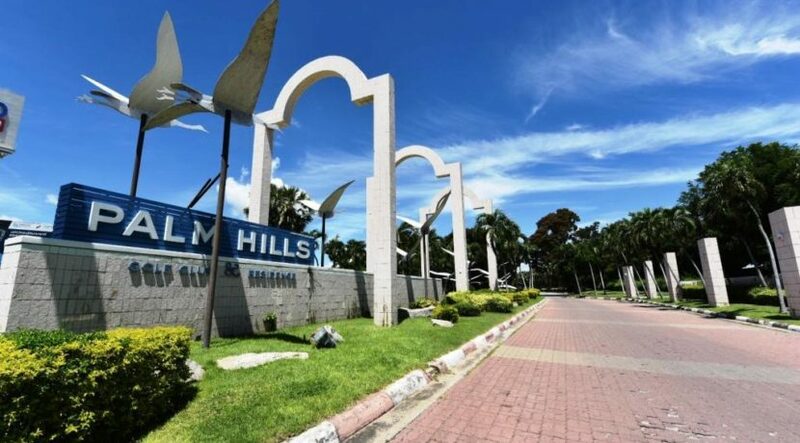 You can have total privacy and peace of mind within surrounding walls, with electronic intruder alarm and 24-hour community security. Restaurant and communal fitness room is found just within 50 meters. 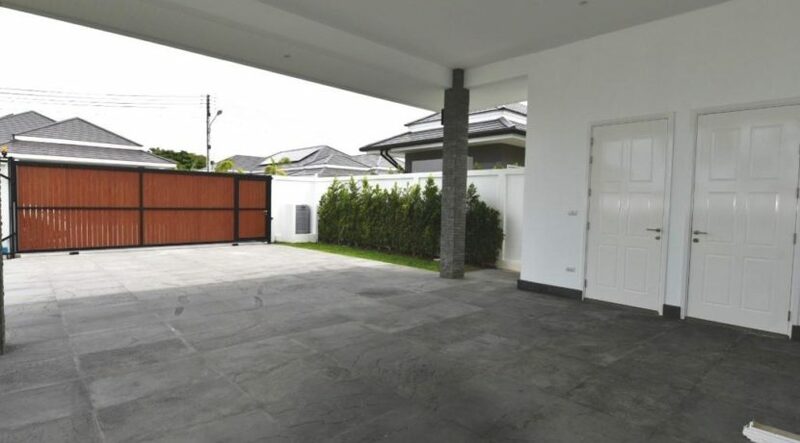 Low maintenance fee of just 2,0 baht/sqm/month. Download full description at: www.dansiam-property.com/6356475 and call for viewing (+66(0)81-860-9611 (English/Thai) /+66(0)81-820-3496 (English/Scandinavian)).